This is the last of the shots I submitted, and the inspiration behind the whole series. 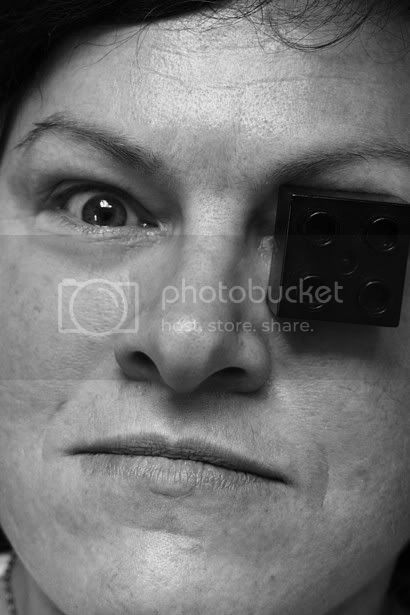 I just had this idea of someone fearing the Duplo block as a monocle, and because it was black, doing it in black and white. Despite that I think it's one of the weaker shots, and I much prefer the rope and lightbulb ones. The judging was tonight, and I won one category with the second of the rope shots I posted yesterday, which I think was quite fair considering the competition I was up against and the very little time I spent doing it. She does have a manic gleam in her eye.